Many of my friends are aware that I have found myself with a new-found passion for running. This flies in the face of all logic and to have known me at this time last year, they (and myself) would have found laughable—downright crazy. But sometime last July, I found myself enjoying running; after a 31 years, 10 months HATE-HATE relationship with it. I’ll post more about why and how those changes occurred when I get closer to the 1 year anniversary, but for now, it’s enough to know that this was a major paradigm shift. It’s not just enjoying running that’s significant here, but the degree to which I have taken to it (as this series will reveal). And like so many things I become passionate about, I’m compelled to write, to share, and to dialogue with others about the experiences and rewards. Therefore, this starts the first in a series of blog posts around running. This particular series will focus on the 9 runs that I have signed up for this year, between this past Sunday (May 6) and Labor Day. 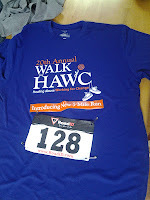 The Labor Day run will be a major test and my major accomplishment for the year as it is a 25K (15.5 miles or so) run. It still sounds somewhat surreal in my head and when I talk about it. Not only am I running, but I’m compelled by the idea of running 15+ miles. A very strange world indeed. I think that just running in and of itself, I could be ok with, but that I want to run so publicly—join races and run with others (i.e. run with the herd) is rather remarkable (for me). One needs to understand that I always hated running. Whenever I had to do it for sports, I always came in dead last. I ran slowly enough that I could often skip an extra lap since I was that far behind. This is what I mean about running publicly. It’s always been part of the shame and dislike about running: how badly I did in comparison to others. But I find in these runs, it’s really not about competing with others, but just having the others help me run faster. It’s about enjoying working one’s body communally. It’s kinda amazing. 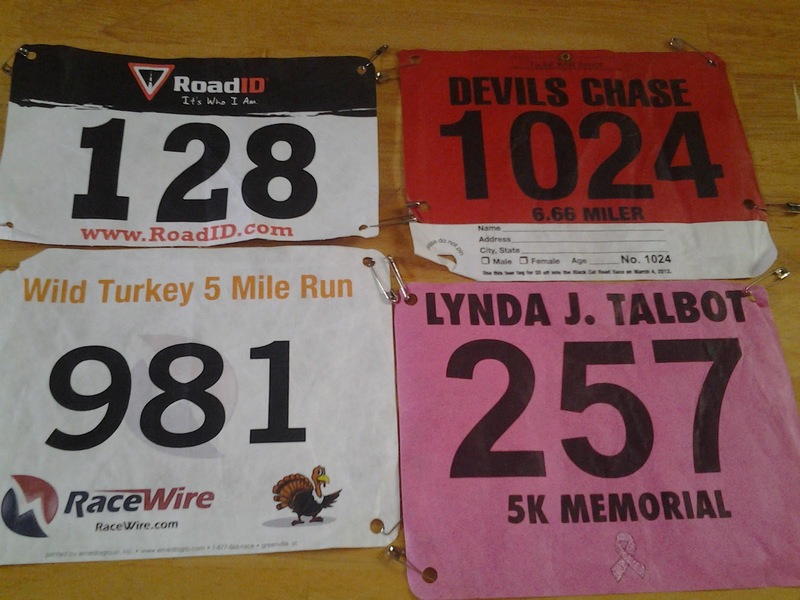 But getting to run in races comes in large part from my first run that I did last September at the behest of my brother and sister-in-law, the Lynda J. Talbot Memorial Run/Walk. It was a 5K. Not only did I really enjoy it, but I had managed to shave several minutes off the previous 5Ks that I had run on my own. I’ve always known that competition or at least community has a means of propelling us to work harder, but it was awesome to see how it worked for me as I completed my first run. I followed this up with two more runs in the fall: The Devil’s Chase (6.66 miles) and The Wild Turkey Run (5 miles)—both of which I will in all likelihood run again this year. 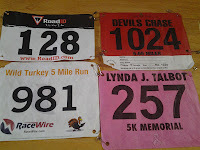 In the fall of 2011, I finally “got it” about running. As I approached the spring, I thought more and more about running and what progress would look like. I decided that by this year’s end, I’d want to run a half-marathon. It didn’t feel as overwhelming as a marathon does at this point and I realized that as I’ve managed to build up endurance to run for 1 hour; running for 2 to 2.5 hours is feasible. After all, I managed the same development when I was cycling and building up to a century bicycle ride. I also felt that a half-marathon would be significant progress for about 1 year of running. I started looking at runs that are in the area over the next 6 months and signed up for 9 of them (though I anticipate I will add more as others encourage and convince me to join them in their runs). 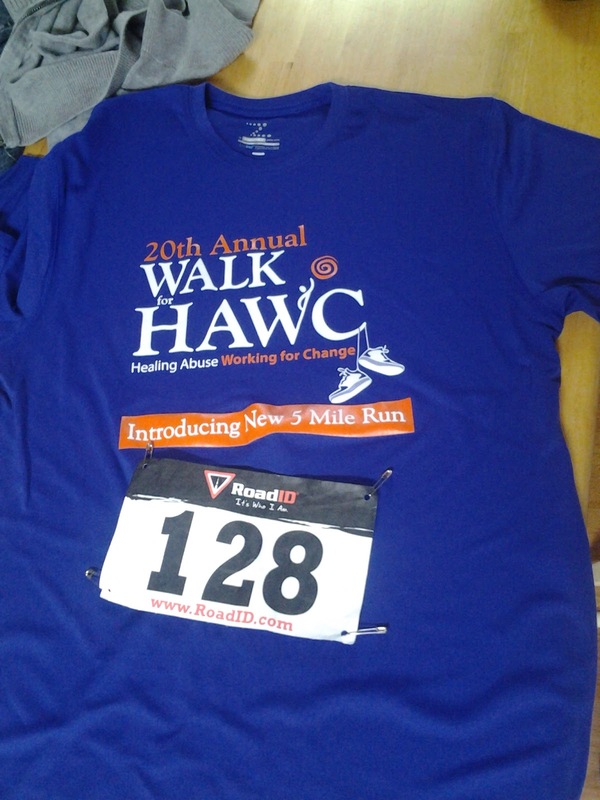 This past Sunday, May 6, 2012, I had the first official run of the season: The 5 Mile Run for HAWC (Housing for Abused Women and Children). My results were reasonable. I had roughly 9 minute miles, which was what I was running when I did the Wild Turkey Run back in November. This was a good base for me because it meant I didn’t lose much shape over the winter when I wasn’t running nearly as much nor nearly as active overall. The run itself was enjoyable. I ran as part of a team with North Shore Community College. The weather was highly agreeable—in the 60s, partly cloudy. The run was similar to both the Devil’s Chase and Wild Turkey Run, so I felt I could pace myself since I had a rough idea of how much further there was to go (besides the mile markings). I found myself jockeying with a colleague from NSCC, which proved invaluable for keeping me going at a decent pace. Additionally, HAWC is a great nonprofit that has been serving the North Shore for decades now and do some really great work to battle domestic violence. Let me know if you are going to be joining me for any of these or have other runs not conflicting with these.